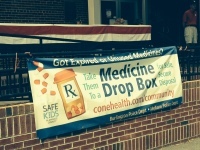 Four Medicine Drop Boxes located in at the Alamance County Sheriff’s Office, Burlington Police, Mebane Police and the Elon University Police Departments. 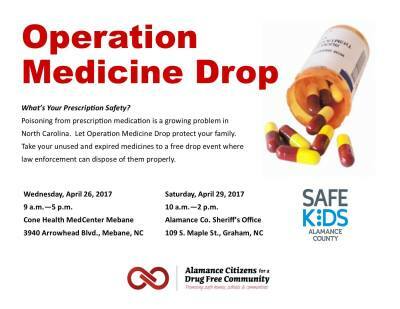 All local law enforcement agencies carry naloxone to reverse an opioid overdose. Three community forums on the Opioid Crisis. 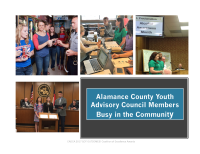 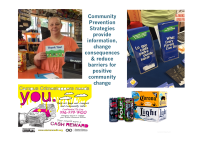 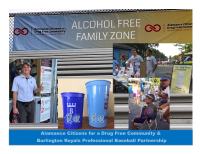 The mission of the Alamance Prescription Drug Abuse Prevention Task Force is to work through a community collaborative to promote the reduction of prescription, over the counter and other related illegal drug abuse in Alamance County by working together to initiate, coordinate and implement prevention and education efforts.